Dimensions: 120 x 80 x 100 in. (304.8 x 203.2 x 254 cm). Video: 30:00 min. 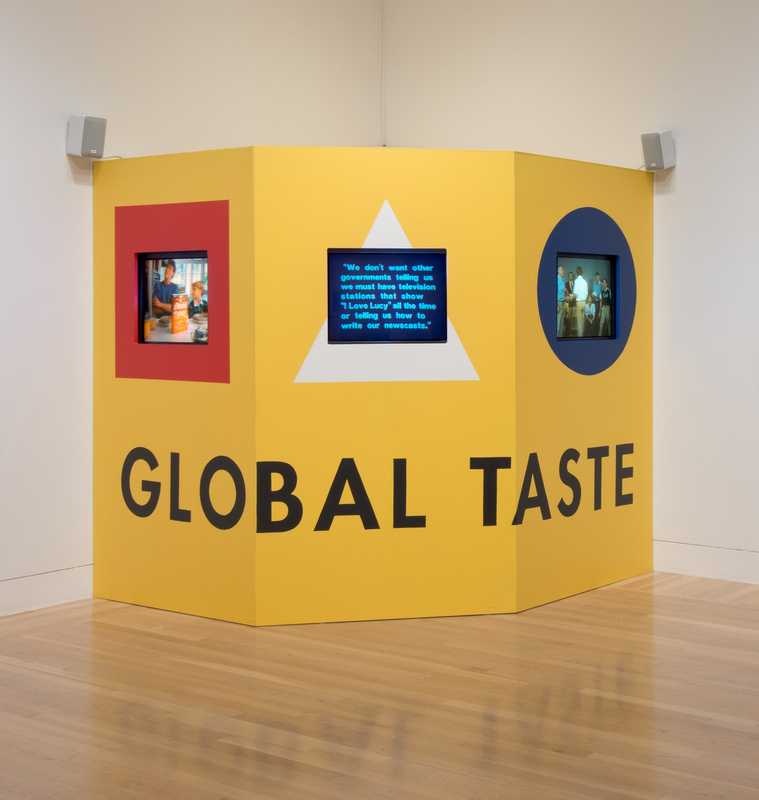 In this suite of videos, Rosler's take on the "global village" suggests that America's influence on taste—both gastronomic and personal or cultural taste—has an intentionally flattening effect. By exporting American foods and other cultural products to countries all over the globe, the United States exerts its economic and political power and participates in stripping ethnic populations of their cultural identities while assuring growth for American companies and the nation's continued dominance on the world stage. "Global Taste: A Meal in Three Courses." Take It or Leave It: Institution, Image, Ideology Digital Archive. Los Angeles: Hammer Museum, 2017. https://​hammer.ucla.edu/​take-it-or-leave-it/​art/​global-taste-a-meal-in-three-courses/​.